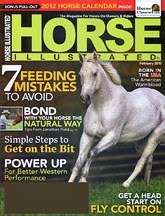 You can get a free subscription to Horse Illustrated. This is from FreeBizMag. It is completely free, and thee are no automatic renewals. Once you are done with this one, you might want to pass this one on to your local school or library. Teachers always love to get magazines to use for projects in the classroom.